Home » Food » Even the Toenails? 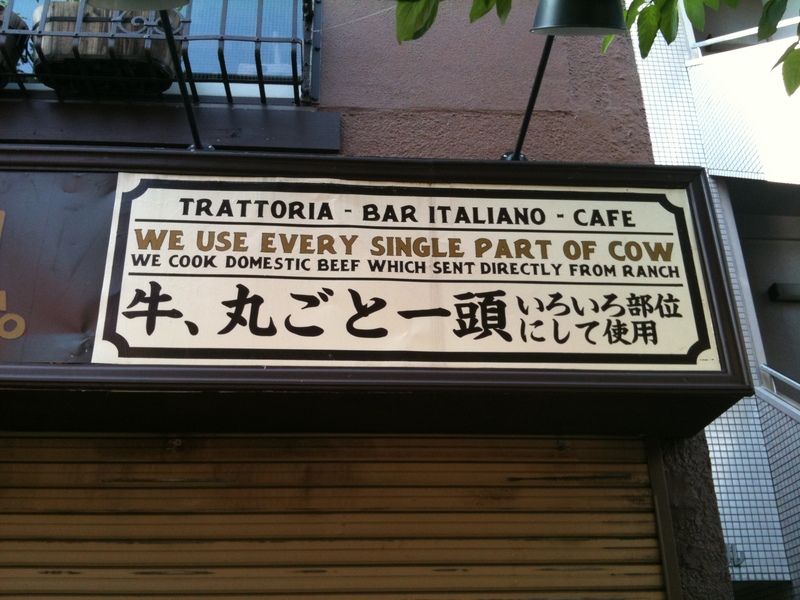 Am I the only one who finds this restaurant’s sign kind of alarming? I mean, I know intestines and kidneys and other wiggly bits are all the rage among gourmands these days, but this kind of makes me want to bring a teensie maglight to dinner, so I can make sure those things that look like garlic cloves aren’t COW TEETH.